The Summer Music Program is a course of study for talented pre-college students. During the three week summer session, students receive individual and small group instruction on at least two instruments (including voice). They will receive intensive instruction in music theory (including written work), ear training/sight-singing, keyboard, music literature, and music technology. The Division of Music opened its doors to embrace and foster the power of the arts during the formative years of Norfolk State College (now Norfolk State University). Today, the Division of Music is proud to have played a pivotal role in the development of artisans, educators, and media specialists in the Commonwealth of Virginia, the nation, and the world. Steeped in heritage, tradition, and outreach, the Division of Music continues its role of providing high-quality instruction in music education and music media that empowers a diverse student body to achieve maximum competence as music professionals in a global society. 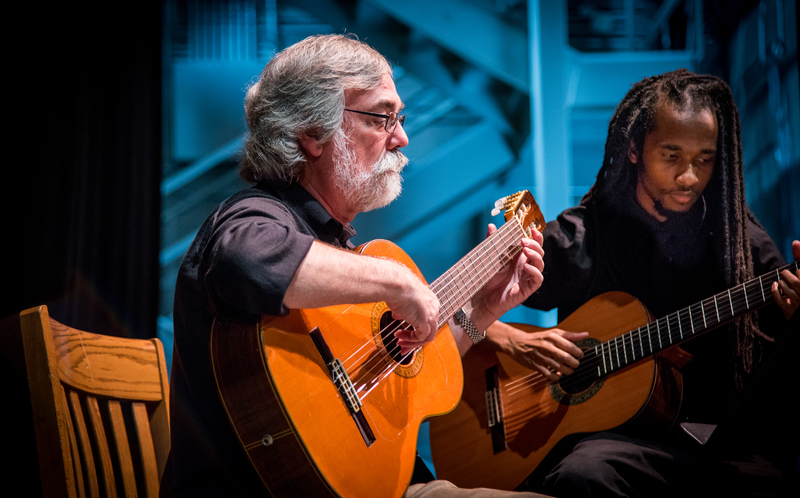 Known for its hands-on engagement of music students in their quest to aspire to the highest heights of musical artistry, students study privately with a renowned faculty, perform in nationally recognized ensembles, present recitals in major concert halls, and perform in venues throughout the country. In an intriguing setting, students enjoy a wealth of experiences in recording, mastering, and editing, in state-of-the-art facilities, as well. Thus, we believe a musical journey at NSU prepares students who seek not only excellence in their musical pursuits, but an array of musical opportunities for music-making across genres, styles, and disciplines. We provide further exposure through educational and historical travel. Supporters of our offerings note the synergy and passion for the development of musical expression at NSU, for we are known for our aesthetic and commercial contributions in the arts. Collectively, undergraduate, graduate, faculty, and ensembles present over one hundred performances annually. With plans for a new Visual and Performing Art Building on the horizon, the Division is ecstatically optimistic of the endless musical, educational, and outreach opportunities that abound for students and connoisseurs of the arts in the region. Therefore, come, join us. Walk in the footsteps of Noah F. Ryder, Reginald Parker, Adolphus Hailstork, Emery Fears, and more. Be a part of the excitement of that which makes Norfolk great.NSU Division of Music awaits your arrival for a glorious musical journey. Behold! The Green and Gold.